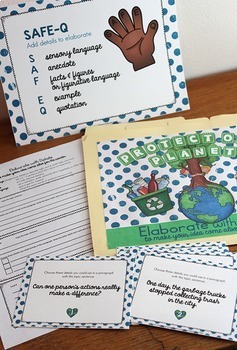 Use elaboration task cards to practice adding a variety of specific details in their writing. This fun activity is a perfect center rotation in your writing workshop and can also be used as a whole class lesson. 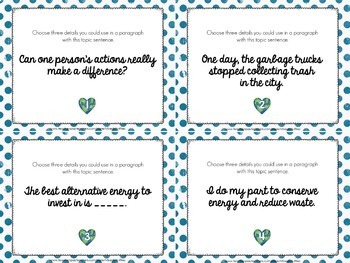 Each task card provides a topic sentence related to an Earth Day theme like recycling or conservation. 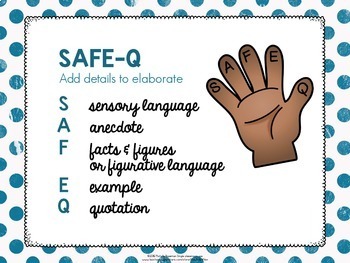 The sentences provide prompts for a variety of descriptive, narrative, informative, and argumentative paragraphs. Students must write in three details that could be used to elaborate in a paragraph with that topic sentence. 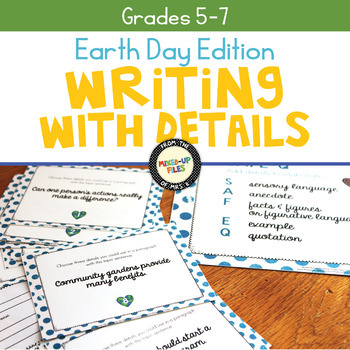 This resource is part of my Month-by-Month Elaborate with Details writing center task card bundle.